Geneious Prime supports scientific research by integrating a comprehensive suite of bioinformatics tools with existing workflows. Geneious Prime’s molecular biology and NGS analysis tools include cloning, primer design, and de novo assembly, and can be customized with plugins and algorithms to provide the scope businesses need. De novo assembly or reference mapping of Illumina, PacBio, or Ion Torrent reads (any length, paired ends, barcodes), using industry leading algorithms, including TopHat and Velvet. Comprehensive analysis of data, including genome browser, contig visualization, SNP calling, and RNA-Seq expression analysis. 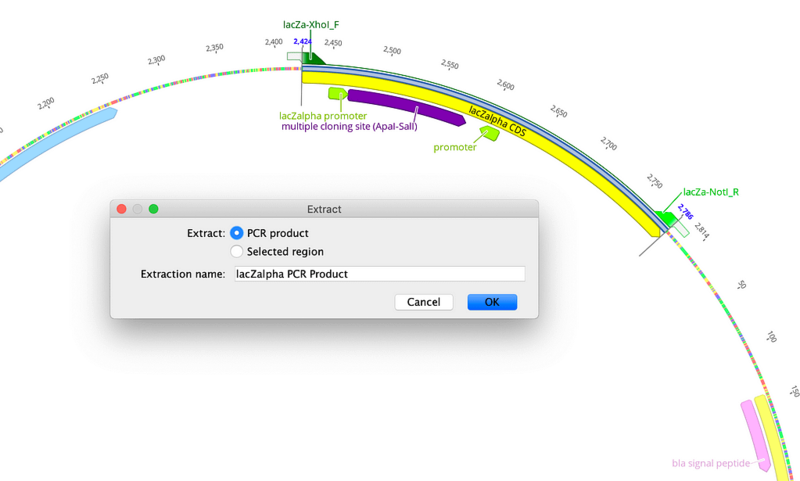 View plasmid maps, automatically annotate vectors, and copy-paste sequences with annotations. 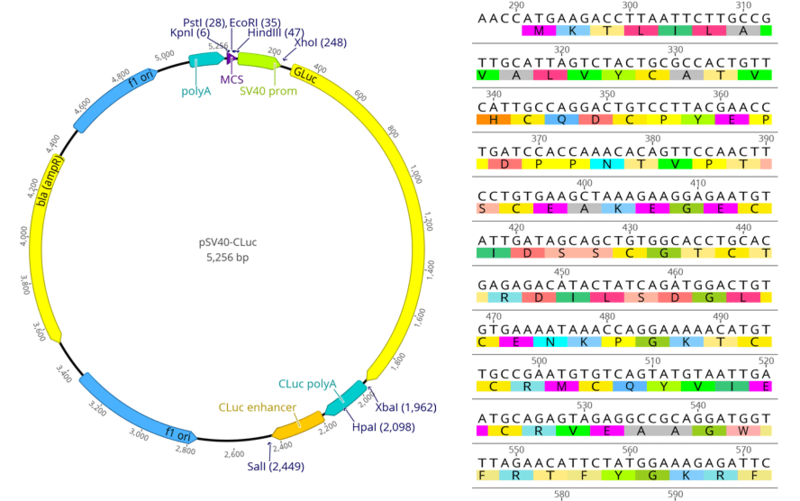 Find restriction sites; digest, ligate, and perform Golden Gate, Gibson, and Gateway cloning. Design primers, find CRISPR sites, and optimize codons. Track history and parent descendant lineage throughout cloning processes. Batch BLAST against NCBI and directly search GenBank. Centralize and collaborate on data with seamlessly integrated shared repositories. Import and export most industry standard file formats. Setup automated workflows to increase efficiency, control business processes, and reduce human error in your research. 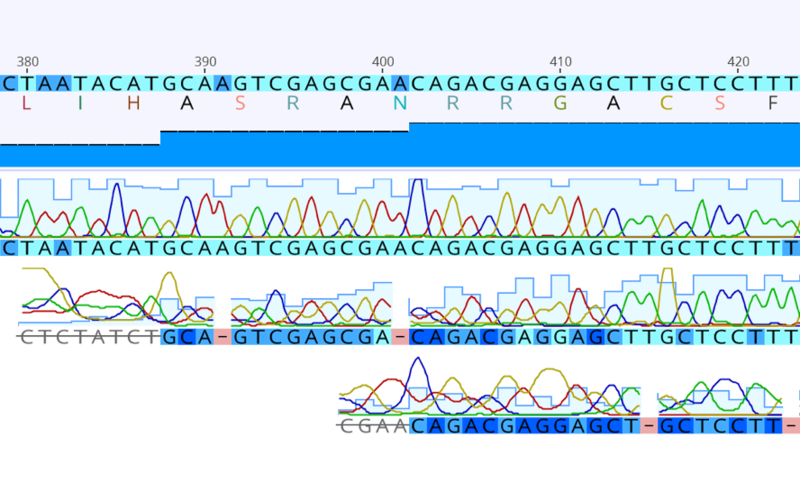 Trim, assemble, and view Sanger sequencing trace files; correct base calls; and create consensus sequences. 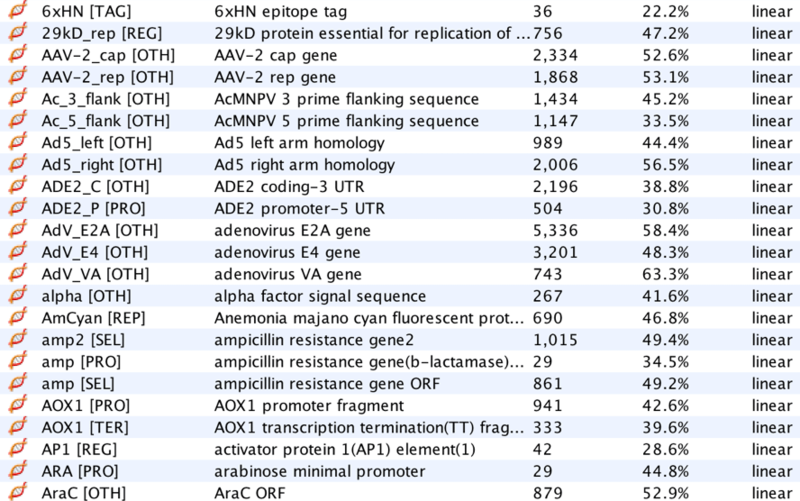 Automatic annotation for gene prediction, motifs, translation, and variant calling. Genotype microsatellite traces with automated ladder fitting and peak calling and generate tables of alleles. Perform pairwise and multiple alignments of DNA or protein using trusted algorithms, including MAFFT and ClustalW. View and edit alignments with real-time translation and highlighting. 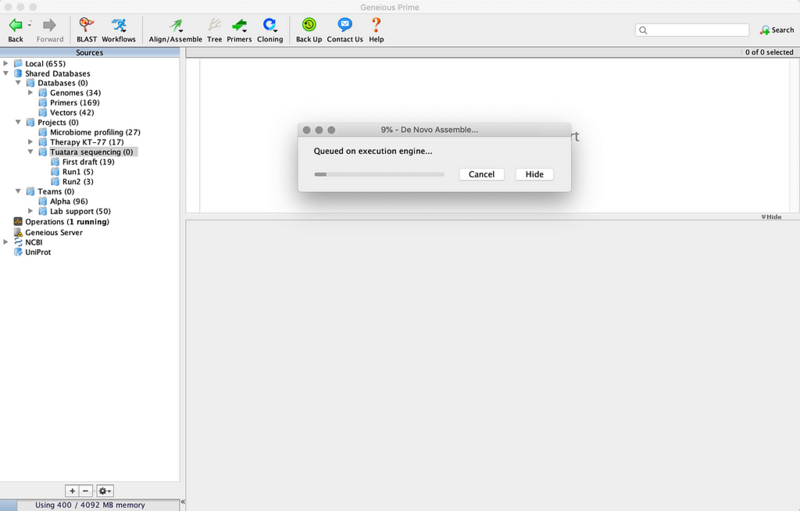 Build phylogenetic trees using peer-reviewed algorithms, including RAxML and PAUP*, and adjust display settings for publication-ready graphics. New features include custom codon usage tables, rapid manual primer design, powerful primer annotation display, easy extraction of PCR and restriction digest products, and drag and drop export. Discover all of the brand-new features, improvements, and enhancements in Geneious Prime 2019.